Sao Sam Art was born in 1980 in Thalaborivath District, Stung Treng Province. 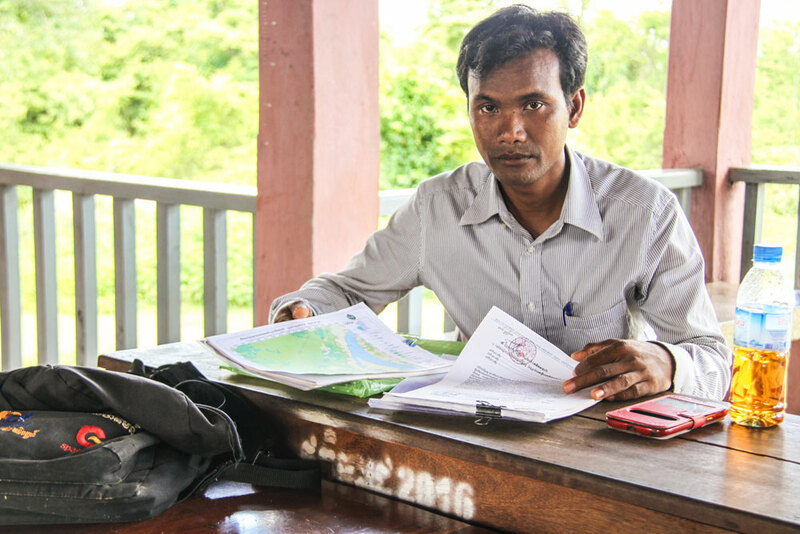 He became chief of the Phnom Prasat Community Forest Management Committee (CFMC) in 2009, and is also deputy-chief of Anlong Svay Village and a secretary of the Stung Treng Provincial Community Forestry Network. Through the USAID Supporting Forests and Biodiversity Project (SFB), implemented by Winrock International, Sao Sam Art has increased his knowledge of environmental law and forestry law, and gained new skills on forest patrol techniques and the use of GPS. Sao Sam Art is chief of the Phnom Prasat Community Forest Management Committee. What are the main challenges of protecting your community forest? 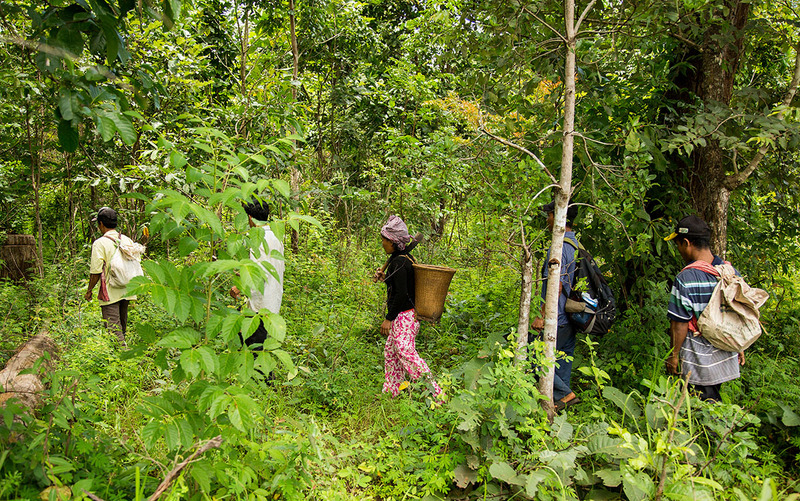 A community forest group on patrol in Cambodia. What is the current situation regarding other threats to the community forest? “Illegal logging and land encroachment activities are still increasing and often committed by both insiders and outsiders of the community forest. Encroachment is common, both in the adjacent forest area as well as inside the community forest boundary. Chainsaws are used to cut the big trees in the daytime and they are moved offsite during the night by hand tractor. Offenders also use snares to trap wildlife and often set fires in the forest after leaving their poaching site”. 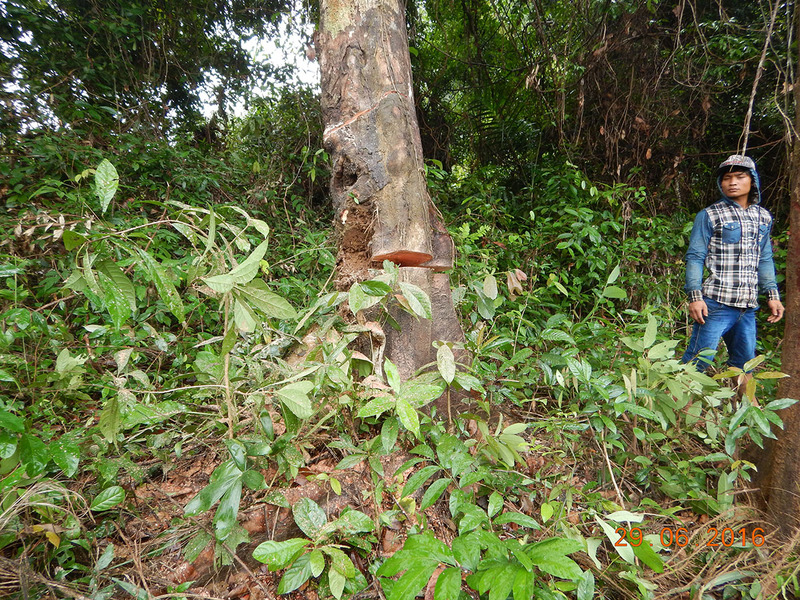 A community patrol group caught the illegal logger responsible for cutting this tree in Kesh village, Thalaborivath district, Steung Treng province in Cambodia. What has USAID SFB provided to your community members to respond the above situation? The Royal Government of Cambodia recently signed a sub-decree to designate five new protected forests, including the Prey Lang Wildlife Sanctuary. A total of 7.5 million hectares, 40 percent of the Cambodia’s land area, is now under protection. 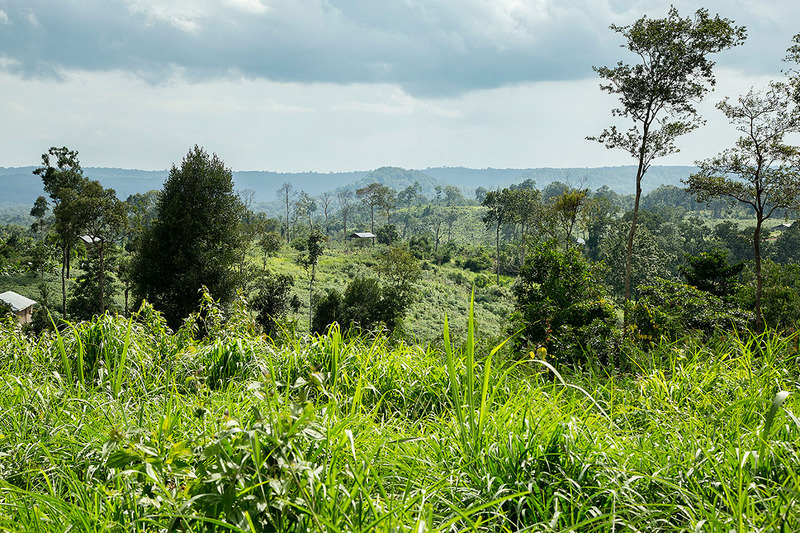 What are your thoughts on improving forest protection and biodiversity conservation in your community?